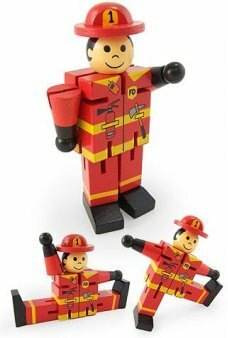 What kid do you know (or adult, for that matter) that doesn’t absolutely love firetrucks? We are enamored when we see them blazing down the street, and many of us grew up playing with firetrucks, toy cop cars, and other action-oriented vehicles. 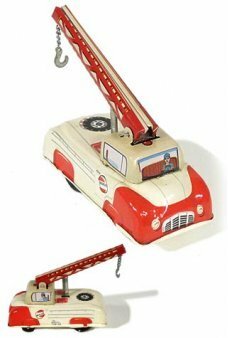 Now, you can order the kind of firetrucks, ladder trucks, and service vehicles that you played with when you were young, by browsing our catalog of vintage, retro, and classically unique firetruck toys. 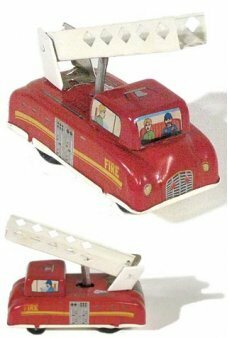 At Tin Toy Arcade, you’ll find firetrucks that are faithful representations of those seen in the 1950’s, 60’s, and 70’s. 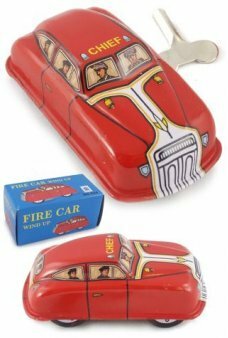 Or, order a futuristic firetruck for the spaceship-era lovers in your household. From authentic to whimsical, retro to decidedly modern, you’ll find exactly what you’re looking for at Tin Toy Arcade. 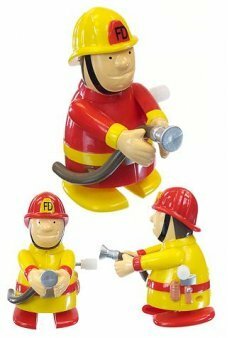 Our heroic Fireman shuffles his feet as he randomly aims his fire hose. Wiggling and walking the cute red and yellow fir.. Pull Back on our Fire Chief Car and the red VW races to the emergency! 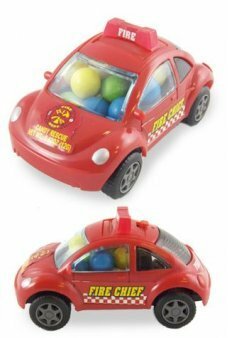 Our plastic VW Beetle includes sweet candy that .. This lovely board game captures the excitement of a Fire Rescue in 1920s England. In the game, Fire! Fire! each pl..
Just avoid the Snakes and climb the Ladders in our classic family game. 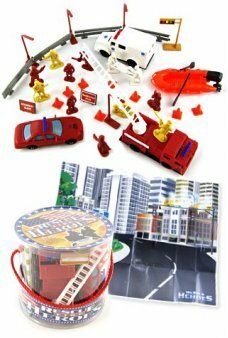 Play the original Snakes & Ladders wit..
Our Red Fire Truck windup races to the rescue and never falls down. Wind up the No Fall Vehicle and he magically goes to.. 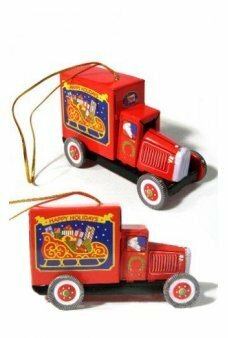 Hang our Red Fire Engine Tin Ornament on your Christmas tree. 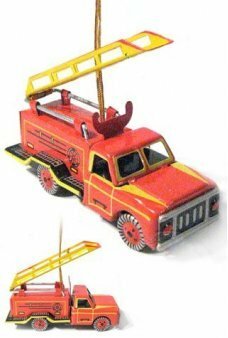 The all-tin Fire Engine's wheels move and ladder lifts. A ..
Just like Santa's real Christmas delivery vehicle! 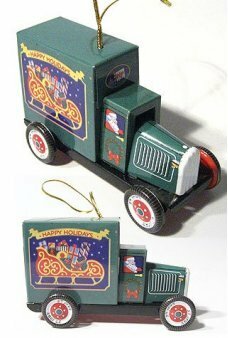 The all-tin green truck features an image of Santa's traditional slei.. 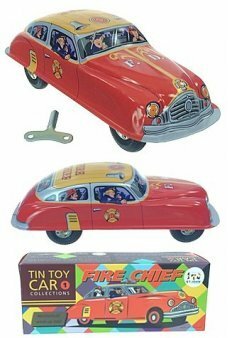 The classic Red Fire Chief is our smallest wind up tin toy auto! 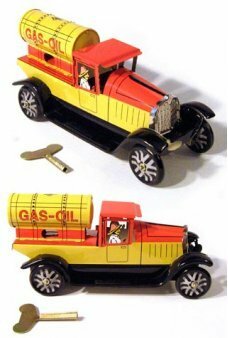 This highly detailed toy automobile is a perfectly prec.. 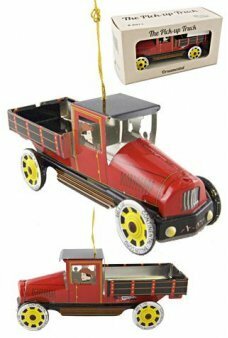 Hang our beautiful Red Pick-up Truck on your tree. 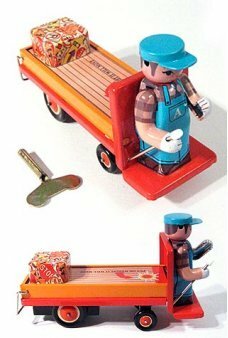 Our detailed all-tin truck toy features moving wheels and a golden ha.. Hang our pretty Maroon and Yellow Pick-up Truck on your tree. 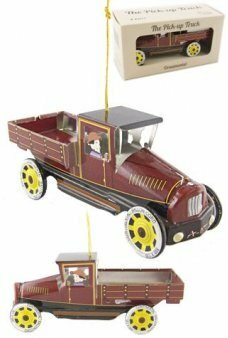 Our detailed all-tin truck toy features moving wheels and ..
Draco is our largest classic toy! 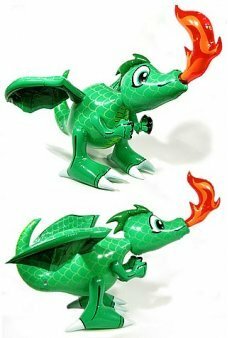 Our adorable green dragon has an inflatable 20 inch wingspan and 28 inch detailed bod..
Push down on the tow crane and our classic Tow Truck will rush away. 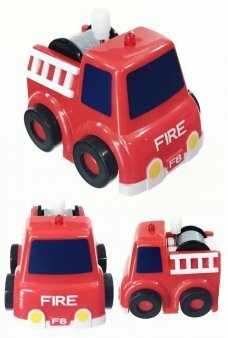 This all-tin truck features a clever Press n Go eng..
Push down on the Fire Engine Ladder and our classic Fire Truck will rush away. This all-tin engine features a clever Pre..